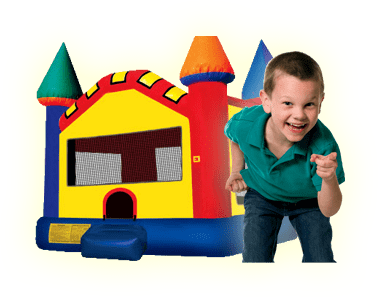 77' Extreme Obstacle Course | Bounce Houses R Us | water slide and bounce house rentals in Hinsdale, Illinois . This 77ft Extreme Obstacle Course really is awesome. At 77ft. long, this will definitely be a standout attraction at your next event. Players can race each other through tunnels and then up and over a small climb & slide. Then they rush around large popup obstacles to a 19ft climbing wall. They race to the top then slide down the backside slide. Participants: 2 at a time One person in each lane** 250 lbs per person weight limit**Must be over 34"
Outlets: 4 standard (20 amps) 110 volts GFCI outlet within 100 feet of the unit. Generator rentals are available here if you do not have a electricity supply. 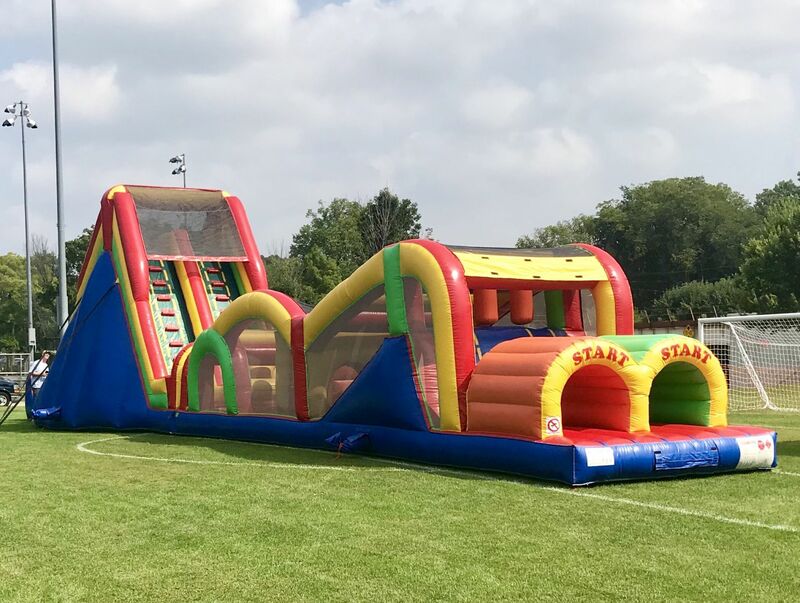 Setup location: Please specify when you are booking the 77' Extreme Obstacle Course if you will be setting up indoors or outdoors. We need to know specifically if it will be on a floor, grass, or asphalt/concrete at the time of booking. All anchors need to be secured using metal stakes or sandbags. We prefer ground stakes when possible but if that is not an option we will anchor using sandbags. The 77' Extreme Obstacle Course requires a flat surface for installation. Please make sure the setup area is clear. We do not set up on rocks, gravel, sand or dirt. No pet waste either. Please clean up your surface area prior to delivery. If there are any challenges a large delivery vehicle might face please notify us when booking or put in the notes when booking online. Please make sure we have a clear path way to park & unload the equipment as close to the set up area as possible. If setting up indoors please make sure we are entering through double doors that are free of bars. This is a large piece and needs a double door space to enter the facility. We provide all extension Cords, Please keep in mind we can only go a max of 100 feet.